A field experiment was conducted during the summer season of 2013 in the farm of Faculty of Agriculture, Benha University, Egypt. Sixteen treatments with three replicates were performed and resulted from the combination of four rates of the elemental sulfur (S0=zero, S1=119, S2=238 and S3=357 kg S ha-1) and four rates of P (P0=0, P1=238, P2=476 and P3=714 kg superphosphate ha-1). Application of S at all used P rates increased branch and pod numbers, nutrients concentrations, and protein and oil contents of soybean. The highest values of the above-mentioned parameters were found at addition of 357 kg S ha-1 in the presence of 714 kg superphosphate ha-1, which were statistically similar to those at 238 kg S ha-1 with 476 kg superphosphate ha-1. Straw and seed yields of soybean showed the same performance under 238 kg S ha-1 and 357 kg S ha-1 in the presence of all applied doses of superphosphate. So, application of 238 kg S ha-1 and 476 kg superphosphate ha-1 could be highly recommended to increase the yield of soybean. Soil properties also markedly affected by addition of the elemental S. Soil pH decreased from 7.53 at S0P0 (control) to 7.12 at S3P3 treatment. Available P showed another pattern, its highest values were 44.22 and 45.65 mg kg-1 as results of S2P3 and S3P3 additions and without significant differences between them. 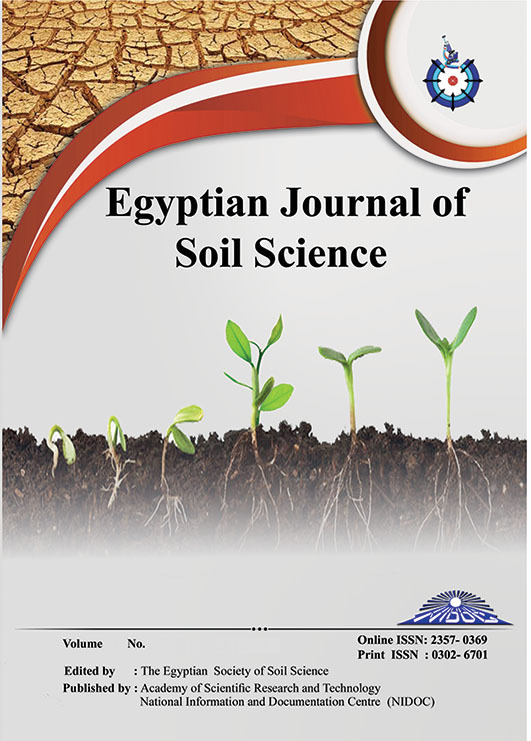 The current study confirmed the positive role of the elemental S in improving both soil fertility and soybean production in the chosen clayey soil under field conditions.